The best way to understand what is meant by alternative medicine for cancer is to first understand what it is not. Traditionally accepted, mainstream, standard medicine attempts to cure a particular disease. Many standard approaches to cancer treat the disease in a localized manner by focusing on treating the tumor � cutting out the tumor or irradiating it. Another standard approach to cancer is to treat the disease in a systemic manner � to flood the body with toxic drugs, which, unfortunately, have some toxic effects on healthy tissue. By these methods, conventional doctors hope to destroy the tumor and, in turn, save the patient. Therefore, the standard medical approach to treating cancer is more akin to waging a war against cancer. In contrast, alternative medicine (also called holistic medicine) treats the whole person � body and mind. Alternative theories of patient care have been growing in popularity over the past two decades. Frustrated with the mainstream healthcare system and the growing disconnect between doctor and patients, more and more people are looking elsewhere to prevent illness and cure ailments. In preventing and treating cancer, alternative medicine approaches are geared towards helping people heal themselves by unblocking natural defense systems and energies in the body and mind. At the core of many alternative and complementary medical approaches is a concept that may be difficult for many to accept � that the mind is one of the most powerful systems in the body. The mind has the power to make us sick, and the power to make us well. Alternative medicine approaches to fortifying immunity against cancer focus on rebuilding the natural immunity of the body and strengthening its inherent ability to destroy cancer cells. When a woman is diagnosed with breast cancer, it is not uncommon for her to feel as if she has lost control of her health and her life. 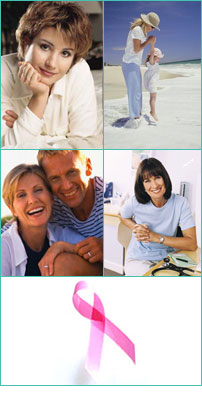 She may ask, �Why did God have to pick on me?� A woman with breast cancer may feel like a victim. As natural as this response may be for many of us, it also is the most damaging. The negative feeling takes hold of her spirit and triggers negative visceral responses in her body. A woman with breast cancer often finds herself sitting in front of teams of doctors and experts who are telling her what to expect and what needs to be done. One of the greatest benefits of alternative and complementary therapies is that they give the patient back a sense of being in control. By deciding to explore dietary changes to help fortify her immune system, or deciding to have acupuncture to manage the side effects of radiation, a breast cancer patient enjoys a rush of empowerment �she is not just a passive recipient of medicine, but an active agent working to heal her own body. The positive impact of this sense of empowerment cannot be understated. The mind is a monumentally powerful agent. Even if it cannot be quantified in a research laboratory, positive thoughts can promote healing � stabilizing hormonal levels, enabling stronger immune responses, and infusing a sense of calm and well-being. It is this positive mind energy that is really the inner key that enables the alternative and complementary therapies to help restore health. If you eliminate the positive attitude and the conviction that the therapy can and will help, chances are that the impact of the therapy will be less compelling. A trend today is to try to incorporate certain alternative therapies into a standard medical treatment. This approach is called integrative medicine � the best of both worlds. When used in conjunction with mainstream treatments, alternative therapies have tremendous healing capabilities. Although some alternative therapies have not been scientifically proven yet and are often dismissed by the mainstream medical community, the positive benefits of alternative therapies should not be ignored. Nutritional changes, naturopathy, acupuncture, massage, visualization, and prayer � all of these alternative therapies and many others can strengthen the body�s immune system, promote a sense of well-being, and aid in the resolution of breast cancer.